It is now December and snow blankets the towns and cities across the land. Rarely seen animal tracks are captured in frosty casts and everywhere the kid in each of us imagines so many wonderful possibilities… snow forts, snow angels… snow monsters? In this edition of FRIGHTS FOR TYKES I will be recommending MONSTER TRACKS? 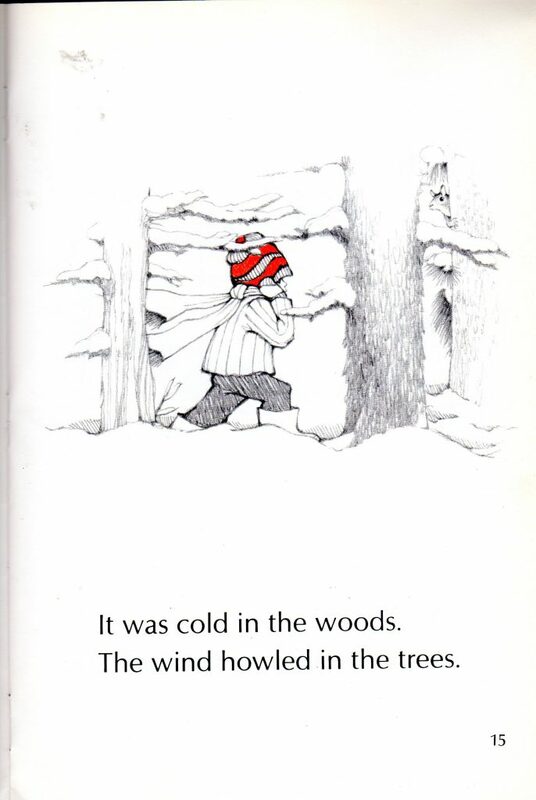 Written and illustrated by A. Delaney, published by HOUGHTON MIFFLIN in 1991. 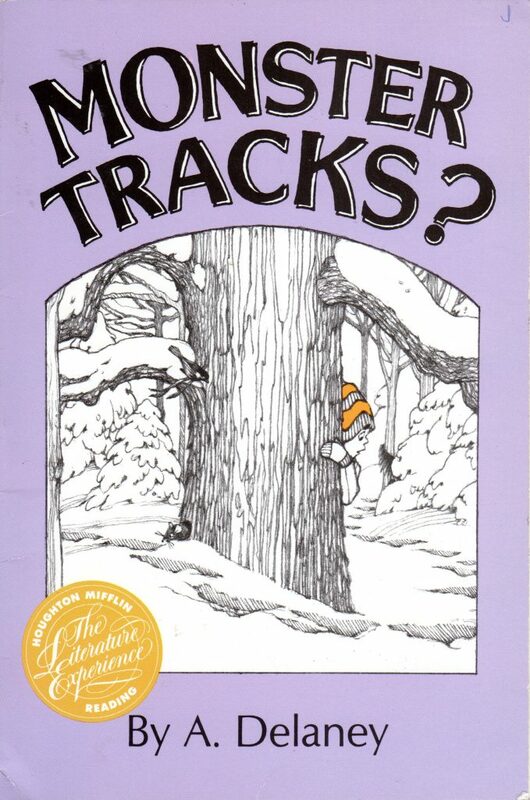 This beginning reader book tells the story a little boy who, while walking through the woods, finds some alarming tracks in the snow. He imagines they are from a monster and becomes greatly frightened. But are the tracks actually from a monster? There’s only one way to find out! I bought my paperback edition of MONSTER TRACKS? at Savers, an excellent consignment store in Webster New York, for under $2. You can buy my edition of MONSTER TRACKS? on AMAZON for $1.00, plus $3.99 shipping, used, in “Very Good” condition.